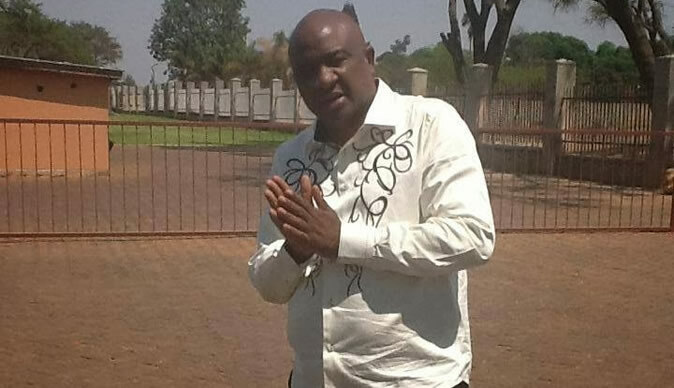 State media has reported that Zimbabwe Football Association presidential aspirant Felton Kamambo has received a war chest of $100 000 to fund his campaign again incumbent president Philip Chiyangwa. The money came from a top official at CAF, it is alleged. Said the reports, It has emerged that Kamambo's spirited fight against his disqualification had received impetus from a $100 000 war chest bankrolled by a top CAF official in a bid to elbow Chiyangwa out of domestic football and subsequently trigger his spectacular exit from the regional and continental game. "A top CAF official through his proxies sent funding to Kamambo last week to try and help him unseat Chiyangwa. "It's an extension of the Sandton Project for which Kamambo was an active member before he resigned from the ZIFA board in March but the plot has thickened this time in that Chiyangwa's ascendency to the CAF executive has unnerved some powers within the continental body's corridors of power. "It is a CAF requirement that for one to challenge for the CAF presidency, he or she has to be on the executive committee first. "The way Chiyangwa masterminded the downfall of Issa Hayatou and ended his 29-year-old hegemony has never been lost on the CAF leadership and his shadow seems to always loom large on the politics of the continental game. "After all, COSAFA is the largest CAF zone with 14 member countries so it is seen as better way to oust him from ZIFA and stop his influence from spreading beyond the country's borders," the sources said. ZIFA Electoral Committee chairman Vusilizwe Vuma announced on Thursday that the board elections, have now been shifted to December 16 because the Electoral Committee sought to fulfil a constitutional requirement which entails that the ZIFA Congress be availed with names of the candidates of the executive committee elections at least 15 days before the polls.